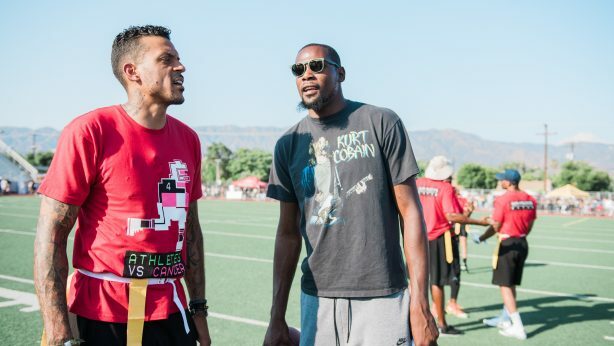 UCLA rolled out the red carpet on Sunday, welcoming celebrities and athletes from across the country to support former Bruin basketball player Matt Barnes. Barnes, who lost his mother to Stage 4 lung cancer in 2007, hosted his third annual Athletes vs. Cancer celebrity flag football game at Drake Stadium. The event benefits Barnes’ Athletes vs. Cancer charity, which provides financial support to help families who are battling cancer. The UCLA alum founded the charity in 2008. Now, Barnes and UCLA Teen Cancer America are working together to create a scholarship program for kids who beat cancer. 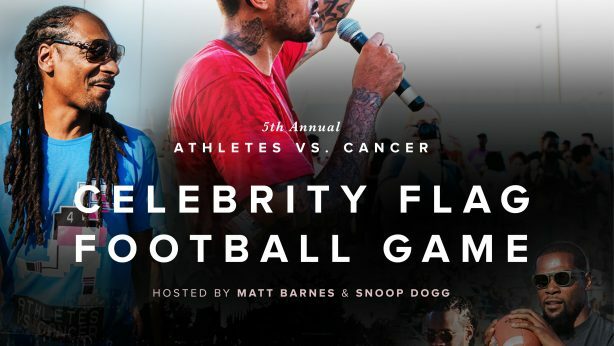 For the past three years, Barnes and rapper Snoop Dogg have teamed up for the flag football event, with each leading a team of celebrities and athletes, from NFL and NBA stars to actors and TV personalities.